Posted on June 30, 2018 by Jude G.
David Moon and I led this week’s Wednesday Morning Birding program out of Joppa Flats Education Center on to Plum Island in search of one of Tom Wetmore’s Seaside Sparrows. 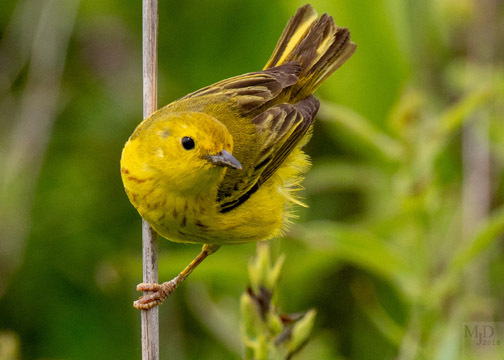 Cloudy skies, temps in the low to high 70s, and winds SW/5-15 mph, generally made for a great day for birding. We had great success in seeing the very accommodating Seaside Sparrow, thanks to Tom’s precise directions and Doug Chickering actually getting us on the bird. Thanks to both! 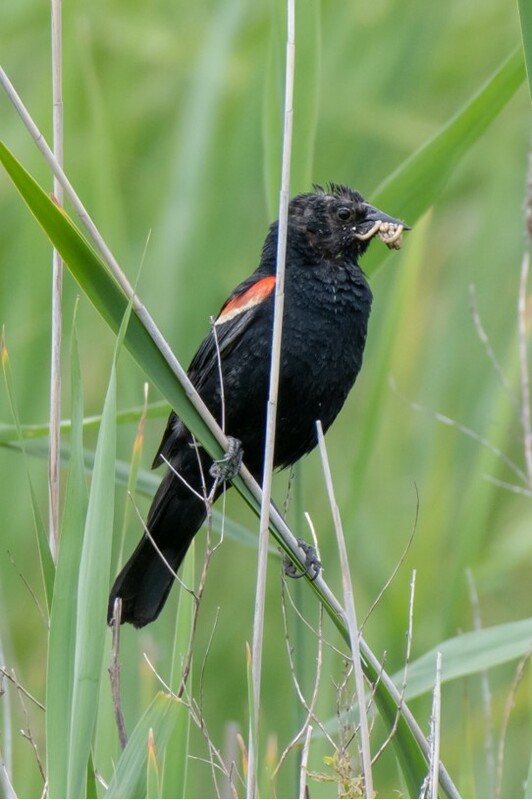 This is the first time in at least 10 years that WMB has checked off this denizen of the salt marsh. Unfortunately, an identifiable photo is unavailable. But, in the same stretch of marsh, we had good views of a number of Saltmarsh Sparrows — no doubt including young of the year. Before the morning was over, it was obvious that the migration south is underway for a number of shorebirds. These birds are either nonbreeders or failed breeders. See the list below. Gadwall (1) – Bill Forward Pool. American Black Duck (1) – main panne marsh. Mallard – common (mostly BFP). 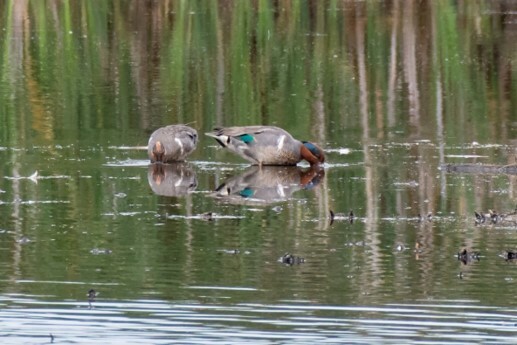 Green-winged Teal (2) – North Pool from Hellcat dike. Great Blue Heron (1) – BFP. Great Egret (~ 15) – various. Snowy Egret (~ 35) – various. Glossy Ibis ( ~ 25) – small flocks flying here and there. Osprey (2) – Pines platform. 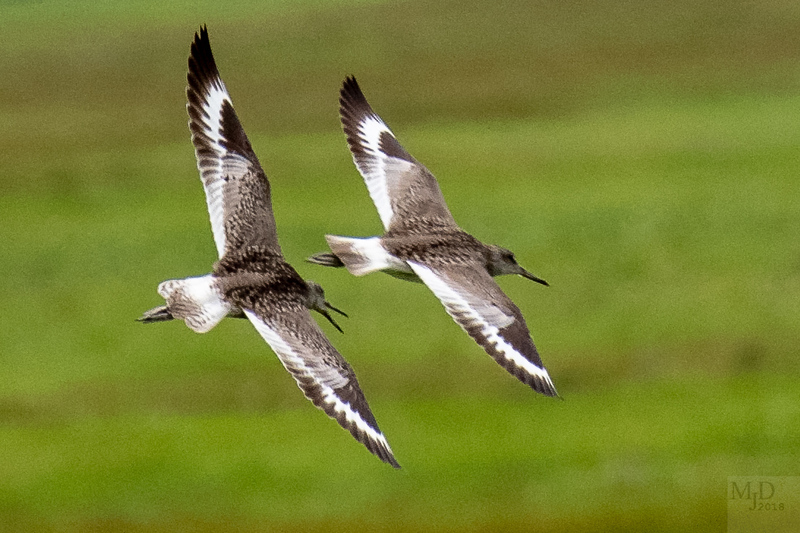 Black-bellied Plover (~ 30) – BFP. Killdeer (2) – 1, pannes; 1, BFP. Spotted Sandpiper (1) – Stage Island Pool. Greater Yellowlegs (4) – 2, SIP; 2, BFP. Lesser Yellowlegs (1) – BFP. Semipalmated Sandpiper (1) – BFP. White-rumped Sandpiper (1) – SIP. Great Black-backed Gull (5) -SIP. Least Tern (~ 12) – pannes & SIP. Common Tern (3) – SIP. Purple Martin (~ 10) – lot #1. Tree Swallow (~ 20) – pannes. Barn Swallow (1) – pannes. Gray Catbird (~ 5) – roadside. Brown Thrasher (1) – S-curves. Common Yellowthroat (~ 7) – various. American Redstart (1) – Goodno Woods. 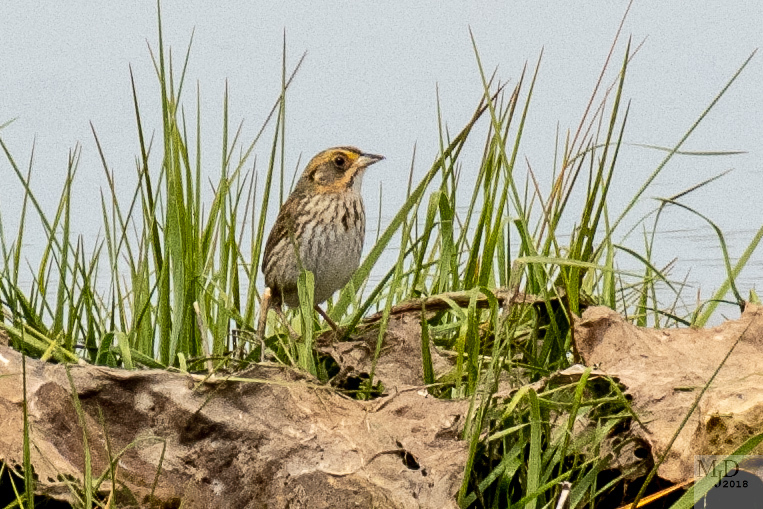 Savannah Sparrow (3) – pannes marsh, s. lot #3. Saltmarsh Sparrow(~ 10) – pannes marsh, s. lot #3.
extended time and was singing. 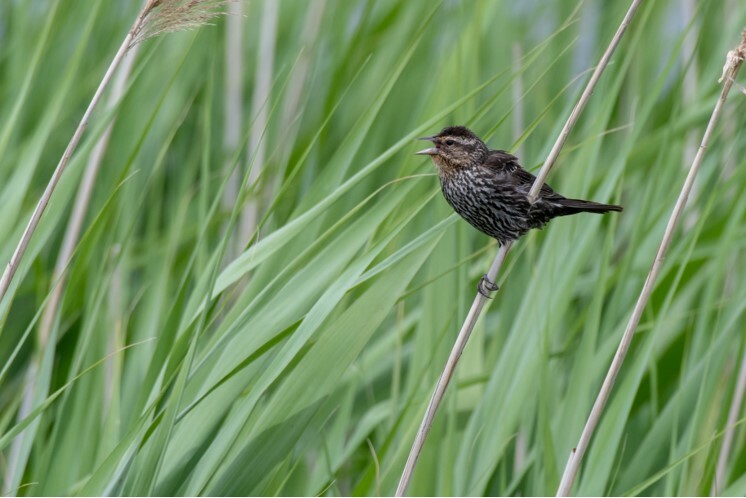 Bobolink(~ 6) – North Field & The Warden’s field. 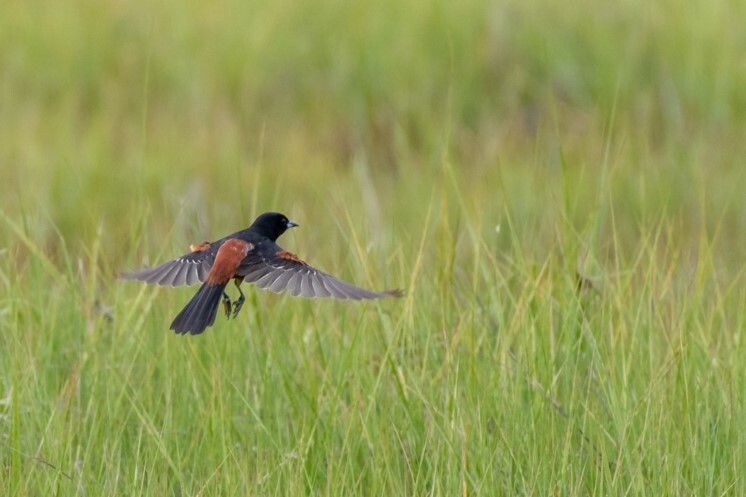 Orchard Oriole (1) – pannes marsh, s. lot #3. Purple Finch (2) – 1, New Pines; 1, Hellcat parking lot. As most of you know, Wednesday Morning Birding takes a break during the month of July. We’ll resume the program on Wednesday, August 1. By then, there will be many more shorebirds headed south, so start boning up on your “peep” identification skills! Until then, enjoy your summer. I do believe as I write, there’s a bit of heat coming our way . . . . This entry was posted in Birding, WMB on June 30, 2018 by Jude G..